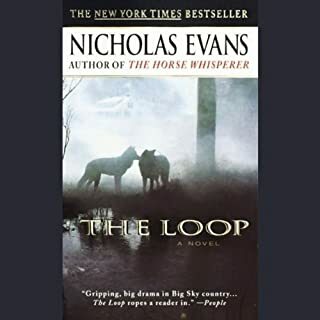 A haunting exploration of man's conflict with nature and the wild within himself, an epic story of deadly passions and redemptive love set against the grandeur of the American West, The Loop has captured the hearts and imaginations of listeners everywhere. Two backcountry skiers find the body of a young woman embedded in the ice of a remote mountain creek. All through the night, police work with arc lights and chain saws to dig her out. But identification doesn't take as long. Abbie Cooper is wanted for murder and acts of eco-terrorism, and her picture is on law-enforcement computers all across America. But just how did she die? And what was the trail of events that led this joyous, golden child of a loving family so tragically astray? The best selling author of The Horse Whisperer and The Loop returns with this sweeping novel of love and loyalty, guilt and honor, set against the epic backdrop of wilderness firefighting and frontline photojournalism. There's little love in eight-year-old Tom Bedford's life. His parents are old and remote, and the boarding school they've sent him to bristles with bullies and sadistic staff. The only comfort he gets is from his fantasy world of cowboys and Indians. But when his sister, Diane, a rising star of stage and screen, falls in love with one of his idols, the suave TV cowboy Ray Montane, Tom's life is transformed. They move to Hollywood and all his dreams seem to have come true. Soon, however, the sinister side of Tinseltown casts its shadow and a shocking act of violence changes their lives forever. What happened all those years ago remains a secret that corrodes Tom's life and wrecks his marriage. 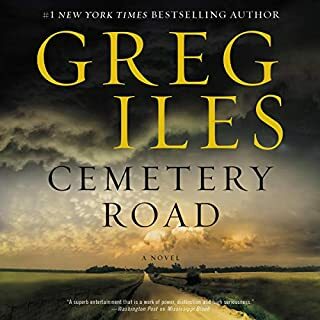 Only when his estranged son, a U.S. Marine, is charged with murder do the events resurface, forcing him to confront his demons. As he struggles to save his son's life, he will learn the true meaning of bravery. Powerfully written and intensely moving, The Brave traces the legacy of violence behind the myth of the American West and explores our quest for love and identity, the fallibility of heroes, and the devastating effects of family secrets. I'm not sure how I missed this title when it was first released in the audio version, but I am glad I had the chance to listen as an early holiday season bonus. I've read some of Evans' other novels - "The Horse Whisperer" and "The Loop", but from my perspective I have to say that "The Brave" is his best. The story successfully combines the disparate elements of damaging family history and secrets, self-evolving learning experiences, and respect for nature, all in the varied settings of England in the 60's, the Hollywood scene, and the spiritual presence in the wilds of Montana. 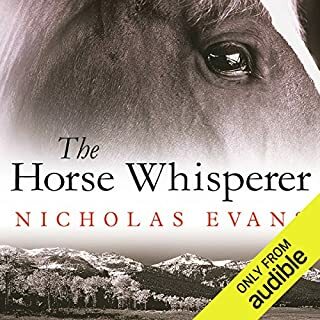 I think Evans' writing has been niched by some into western novels and horse stories, when what he really writes about is the broader human condition. Some might say the geographical and social scope of "The Brave" is too ambitious for a novel of its size, but I would disagree and say that the author handles the diverse settings with precision and with just enough detail to keep the story relatable and the reader inspired. 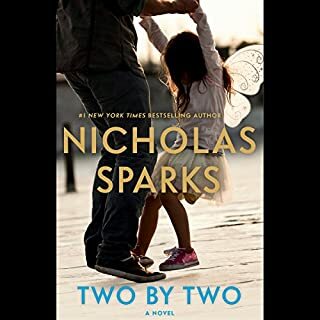 This novel has struck a chord with me, maybe because I was a teenager in the England of the same period in which Tommy grew up, and have a correspondingly broad scope of settings in my background - England, California, New England, and Central America. The narration and production are superb, particularly the introductory music and reading of the poem "Men In White Hats" by Shane Van Clois. I didn't quite get the connection at first, but as I read further the mythical cowboy character and the symbolic white cowboy hat began to resonate. The segues forward and back in time periods were not troublesome for me as a reader, and I quickly acclimated to the rhythm of these transitions. Great book, and I intend to listen again. The moral/truism as stated/revealed at the end made the rest of the book seem overwrought. Although told in a slow pace, the book was a great listen. Romancing the old West is always a great listen. If you could sum up The Brave in three words, what would they be? What was one of the most memorable moments of The Brave? I liked the story and characters but I already knew pretty early in the story how it was going to end. Did not like that. Excellent "read" very well done! 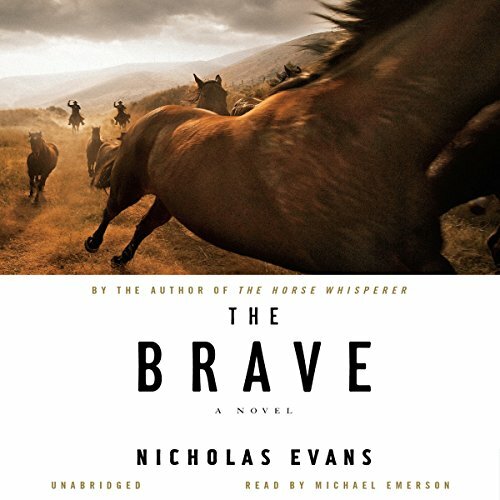 Would you consider the audio edition of The Brave to be better than the print version? Don't know - just have the audio edition. Good plot. Well written and well read. Diane and Tom in Montana. If you could take any character from The Brave out to dinner, who would it be and why? Diane - interesting character. Brave but stupid. 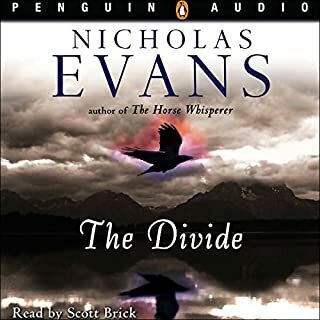 The Divide was an enjoyable listen, as was The Smoke Jumper, The Loop, and The Horse Whisperer, so it stood to reason that The Brave would follow suit. It started out hard to follow both in story line and characters, jumping repeatedly back and forth over decades with no warning or even a hint that the story just jumped ahead or back 30 years. At each change, you'd listen for several minutes before you realized that Tommy was in his 40's now, not 7 or 8 anymore. I worked through several chapters, sometimes rewinding to catch something I must have missed, hoping that I'd start falling soon into the typical Nicholas Evans style of writing, and perhaps discover the true story line instead of all this rambling. It never happened. It rambled and time-traveled right to the end. The end was the only highlight, but not near worth the dragging hours of frustration and head shaking. 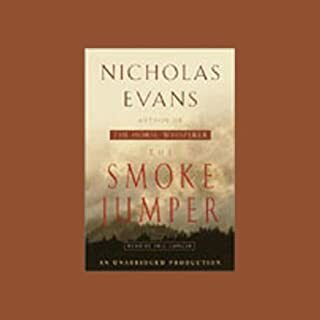 If you are an Evans fan as I am, I know you won't listen to me when I suggest that you skip this one, but I am betting that you will wish you would have. Nicolas does it agin! The sory is original, captivating, and thought provocing. Highly recommended. The performace was superb. , I was not crazy about the story and the narrator's voice made it very boring.